Visit the Dragon Door website at www.clragoncloor.com today for more information on these products. Sign up as a subscriber and receive free downloads of articles, news of new products and much, much more. 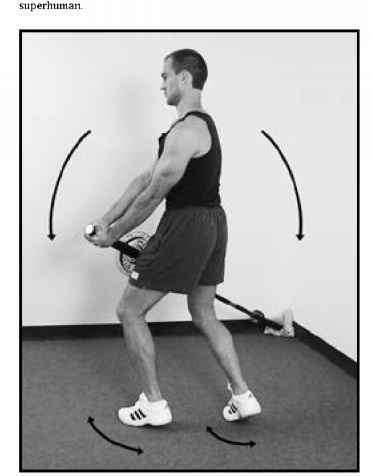 • Protect your back and develop exceptional abdominal muscle tone, with a landmark exercise designed for the special needs of Russian ballet dancers and gymnasts. • Employ the secret ab weapon of an old time strongman—famous for his exceptional strength and sinewy, wiry physique. • This insider's secret from East German research radically empowers the traditional situp. • Russian full contact fighters used this drill to pound their opponents with organ-rupturing power, while turning their own midsections into concrete. Unlike anything seen in the US! • This simple Yoga asana tightens the internal muscles of the abdominal wall and makes your waist smaller—even if you have not lost a pound! "As a chiropractic physician, I see the deleterious effects of a weak torso on the lower back. Weak abs lead to years of back pain and dysfunction. As a world record holding powerlifter, I know the importance of strong abs on maximum power performance. 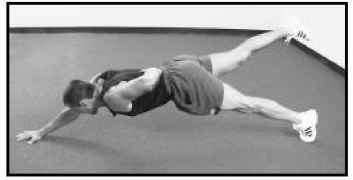 Beyond Crunches is THE text and authority on ab/trunk stability." As a former Soviet Union Special Forces conditioning coach, Pavel Tsatsouline already knew a thing or two about how to create bullet-stopping abs. 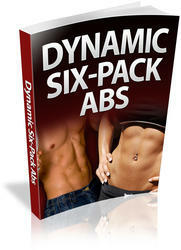 Since then, he has combed the world to pry out this select group of primevally powerful ab exercises— guaranteed to yield the fastest, most effective results known to man. According to Pavel, "Crunches belong on the junk pile of history, next to Communism. 'Feeling the burn' with high reps is a waste of time!" Save yourself countless hours of unrewarding, if not useless—if not damaging—toil. Get with the program. Make fast gains and achieve blistering, rock-hard abs now. When it came to wanting titanium abs yesterday, the Soviet Special Forces didn't believe in delayed gratification. Pavel gave them what they wanted. If you want abs that'll put you in the world's top i percent, this cruel and unusual drill does the trick. "The Russians are years ahead of us when it comes to training... Pavel is the man!" 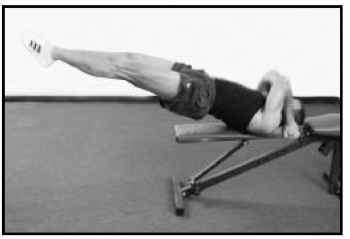 "I have seen many abdominal routines in the last 25 years and the Beyond Crunches prog-am is the best yet"
Russian full contact fighters used this drill to pound their opponents with organ-rupturing power, while turning their own midsections into concrete. Please call us between 9 am - 5 pm (CST) Monday - Friday at (651) 645-0517 or leave us a message any time for a prompt response. If you are not completely satisfied with any product-for any reason, no matter how long after you received it-we'll be happy to give you a prompt exchange, credit, or refund, as you wish. Simply return your purchase to us, and please let us know why you were dissatisfied-it will help us to provide better products and services in the future. Shipping and handling fees are nonrefundable. Telephone Orders For faster service you may place your orders by calling Toll Free 24 hours a day, 7 days a week, 365 days per year. When you call, please have your credit card ready.